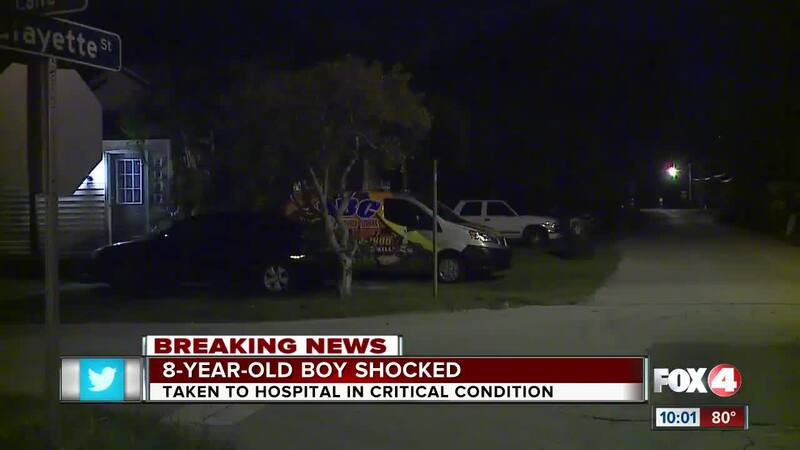 FORT MYERS, Fla. -- An 8-year-old boy is recovering after being shocked by an outlet. The Golisano Children’s Hospital told 4 in Your Corner on Wednesday night that the boy was taken to the hospital in critical condition. It happened at a home on Lane Avenue and Lafayette Street in Fort Myers. Stick with Fox 4 for any updates.